Hello all! Man have I been busy. Progress is actually further along that what I’ll be showing today. But I’m just now getting a chance to update. For those just joining us, make sure you get up to speed by reading Part I first. So, where were we? The last you heard, I had laid out the plans for what was to be done to the Taylor’s kitchen. After speaking extensively with the homeowners, assessing what exactly they were looking for, we settled on an actionable plan. Well now we’re into the demolition of the kitchen walls. The crews of our builder Gallup and LaFitte arrived and got started. I’d like to send out a special thanks to them for their unmatched cleanliness and quality. I’ll begin with the original kitchen shot from the first post. A view of their current kitchen. The doorway leads to the dining room. 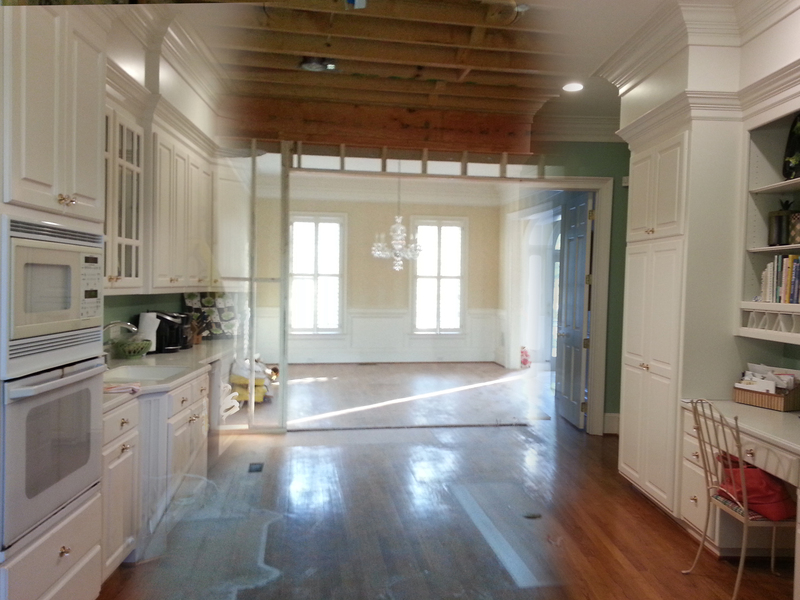 What once was the kitchen, is now a dance hall. Forgive the blurry picture. 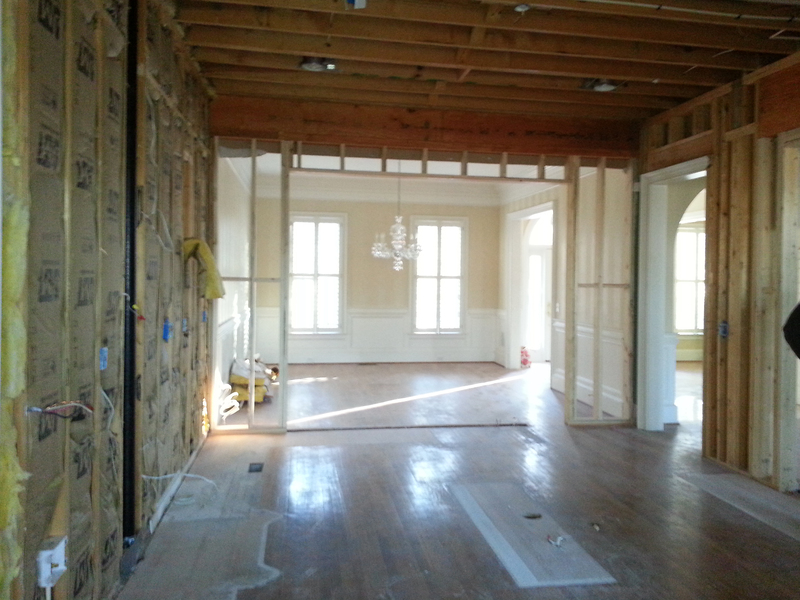 As you can see, everything was removed and a cased opening will lead into the dining room now. Very airy and open. 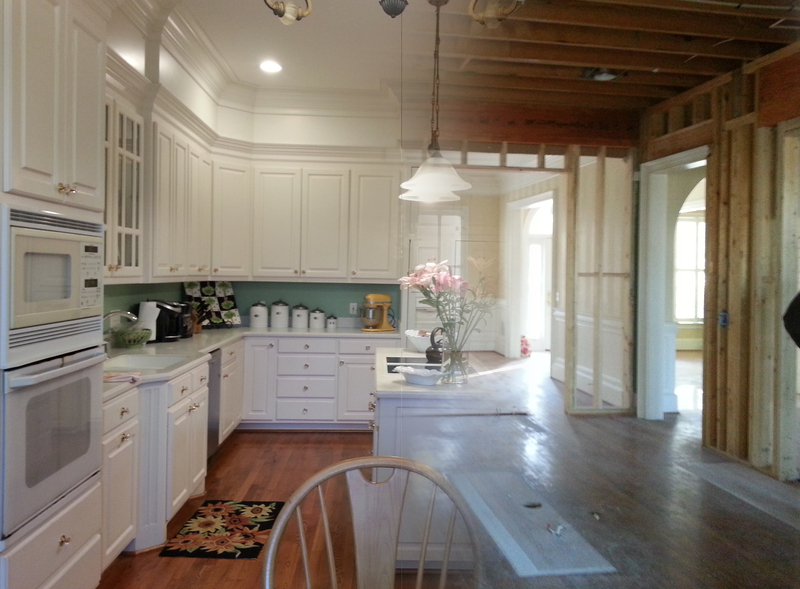 The kitchen is no longer a closed room with a door leading to the dining room. Instead the dining room will feel like a part of the dining room. Inviting those in either room to flow freely. Chandelier left to increase the fanciness of the work site. This shot is from the dining room back into the kitchen. 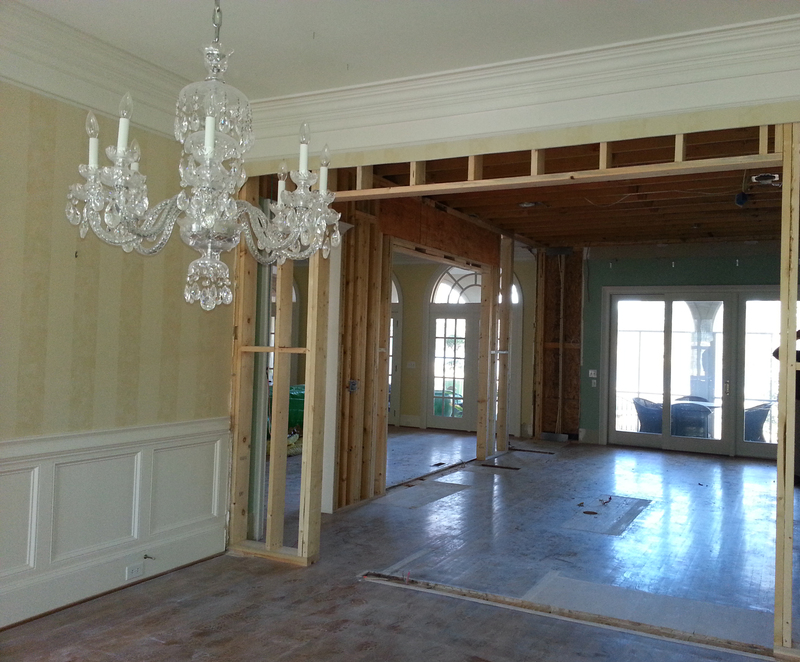 Notice that the kitchen desk was removed to make a large cased opening that flows into the family room. Once framing is entirely finished, we’ll then begin building it all back up. Sheetrocking and prepping for the new custom cabinets to be installed. I’ll introduce you to the cabinet-maker in the next blog post. The next post will be much more in depth as the cabinets will be going in and selections have been made for countertops, appliances, finishes, and more. You know, the fun stuff. 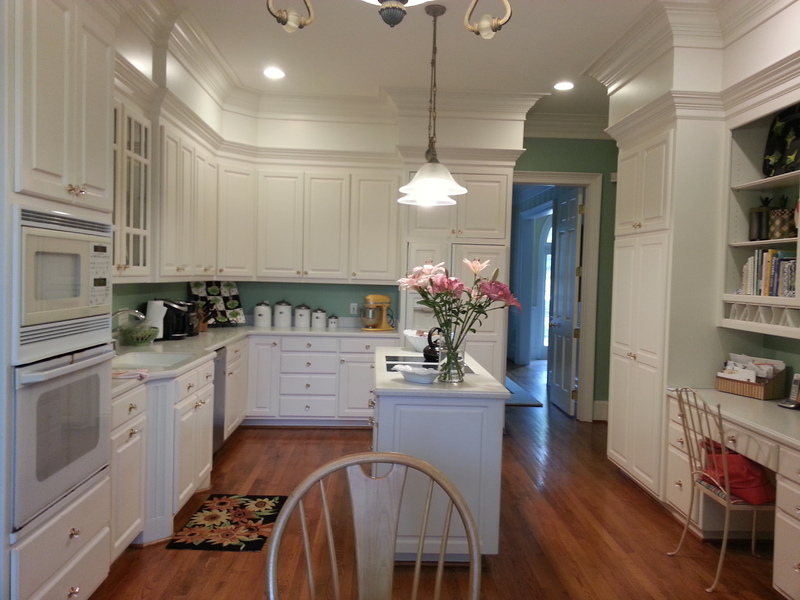 This entry was posted in Design Stories and tagged Demolition, Kitchen, Remodel. Bookmark the permalink.